ATC - boring unit - edgebanding - spindles - Haiyang Changchuan Motor Co., Ltd.
CC Motor boasts the industry's best and innovative R&D team. The R&D team develops new products and constantly improves product technologies and manufacturing techniques based on market and customer demand. 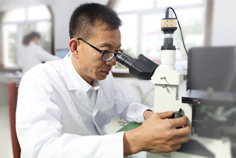 CC Motor has established an in-depth production-learning-research cooperative relationship with the Chinese Academy of Sciences, Xi'an Jiaotong University, Xi'an Micromotor Research Institute, 21st Research Institute of CETC and Shandong University. In addition, the company has established a good technical exchange and cooperation relationship with GF AGIE CHARMILLES (Switzerland), GMN (Germany), Akribis (Singapore), UMC (America) and other enterprises. Introduce German technologies, and develop and manufacture a series of high-speed electric machines and electrospindles that are up to the world advanced level and are used for wood-working machines. CC Motor has large quantities of high-precision production equipment such as STUDER from Switzerland, German DMG and Schenck, AIDA and Taiyo Koki from Japan, DOOSAN from Korea, Taiwan Feeler. CC Motor also has precision measurement tools purchased from Taylor Hobson, Mahr GmbH, TESA, JFE, RION, TES Electrical Electronic Corp. and other enterprises, ensuring that the machining accuracy of spindle units can reach IT1 grade. In response to the assembly of high precision high-speed spindles, CC Motor has set up a "10,000" grade dust-free assembly workshop, providing strong support for quality assurance. CC Motor has been awarded honorary titles such as "Quality and Credit Assurance Company", "Contract-honoring and Promise-keeping Enterprise", "Company with Harmonious Labor Relations" and "Yantai Enterprise Technology Center" many times. The company has successively obtained ISO9001:2000 quality system authentication and UL, CE, CSA and other product safety certification. Through continuous development, CC Motor has been more internationally competitive in technology platforms including design, manufacturing and test detection as well as manufacturing level. CC Motor always upholds the business philosophy of "quality first, credit principal, consumer uppermost" and sticks to the principle of "keeping customer satisfaction in mind, winning customer loyalty by doing solid work and serving the interests of customers relentlessly". Oriented to the market, propped up by technologies, and targeted at building an international famous brand, the company has established a brand that is trustworthy to all customers through scientific management, superior quality and first-rate service. Address: No. 8 Wenzhou Str., Economic Development Zone, Haiyang City , Shandong, China. In response to the national calls for energy conservation and emissions reduction, CC+ motor always commit to the R&D for efficient and low energy consumption motors. Meantime, CC+ motor installed solar power equipment on its workshop roof. At present, the power equipment has finished installation and come into use. The 16th international woodworking machinery and furniture production equipment exhibition （WMF2016） was held in Beijing in June 1st. CCmotor exhibited ATC, tool changer，boring units and other products. CC+ successfully launched AC servo motor for polarimeter in the cooperating with Jinan Haineng. The polarimeter is an instrument to measure optical rotation of material, Which can be used to determine the concentration, content, purity of the substance. And polarimeter also widely used in pharmaceutical, drug testing, sugar, gourmet powder, spices, oil and chemical industry, laboratory analysis or quality control in scientific research and teaching department, etc.The successful launch of AC servo motor for rotation marked CC+ entry into instrumentation motor field. 说明： Qingdao ChangChuan Plus Motor Co., LTD belongs to Changchuan motor. It is a special motor R&D center jointly established by ChangChuan motors and Plus Motor from USA. It Located in the beautiful coastal city Qingdao. And Qingdao ChangChuan Plus Motor Co., LTD is a R&D and sales integrated center which concentrates on high speed motor of woodworking, ATC electro-spindle, muti-spindle drilling unit, DD motor and linear motor. The company collected a large number of R&D personnel, and invested heavily to introduce the domestic and foreign advanced testing equipment. Using American technology, company launched the ATC electro-spindle with the help of United States Plus Motor, which significantly improved product quality. The ATC electro-spindle won widely praise in the market, and gradually replaced the Italian products. ChangChuan Plus Motor is striving to become the top supplier in the field of high speed motor!